Guess what’s nose-diving faster than the BCCI’s public image. The CLT20. For the still uninitiated, it’s the thing that Indians know as ‘that IPL-type tournament played by international IPL teams in which the only ones I know are the IPL teams…and… I really don’t care’. It stands for Champions League T20, btw. How much of a ‘Champion’s’ League it is can be gauged by the fact that a 4th placed team in an 8-team league can also qualify for it. Bravo! Here’s a brief story of its title sponsors. In just 5 years, the title sponsorship of CLT20 has gone from Airtel to Nokia to Karbonn to Oppo. If that’s not enough, the list of official sponsors for this year includes marquee brand names such as Cycle Pure Agarbathies, Gixxer, Wall Care White Cement Based Putty, and Killer Jeans. Wow, this tournament is rocking! If it were not for Ajmal Kasab and his band of brothers, the fate of the CLT20 may have turned out different. 8th December 2008 is when the CLT20 was all set to kick off in Mumbai. 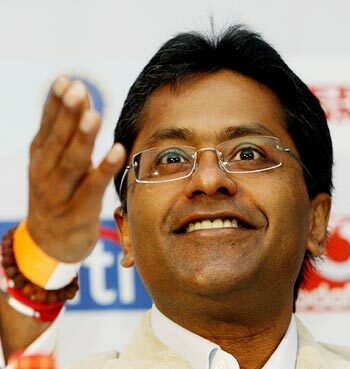 Lalit Modi was still firmly in charge. The country was still intoxicated in the IPL high. And India were still T20 world champions. It was a blockbuster waiting to happen. But, 13 days before that Kasab and co. landed on Mumbai’s shores leading to two immediate fall outs. One, bumper time for security products companies as hotels and malls ordered en masse. Two, CLT20 got called off. By the time it came back 9 months later, as they say, the moment had passed. When the IPL came calling in the last quarter of 2007, ESPN-Star had let Sony walk away with the rights for $1.026 Bn (later changed to $1.4 Bn). Sony had out-priced itself, they had thought. No way would they be able to recover this kind of money, they had assumed. Basically, they didn’t know what Lalit Modi was made of. 6 months later, they watched in horror as the country shut down every night at 8pm to watch the IPL. In the ensuing silence on the streets, they could probably hear the Sony cash registers ringing all night long. When the CLT20 came around, they weren’t gonna make the same mistake. They bid $1 Bn to secure the TV rights. And secure they did. Euphoria and celebration started. They thought they had a tournament bigger than the IPL at less than the IPL. WHOA! Too good to be true? Yep, in hindsight. We are told that heads at the top of ESPN-Star management had rolled due to how the CLT20 investment panned out. Over the years, the title sponsorship has been passed around like a flea-infested cashmere duvet, which looks great from a distance but only from a distance. Airtel had signed a 5-year title sponsorship deal for $40 Mn in 2009. They backed out, even at the cost of a heft penalty, after just 2 seasons. Nokia jumped on board only to desert a year later. Karbonn picked up the baton in 2012 and survived a year longer than Nokia. And now, it’s Oppo. 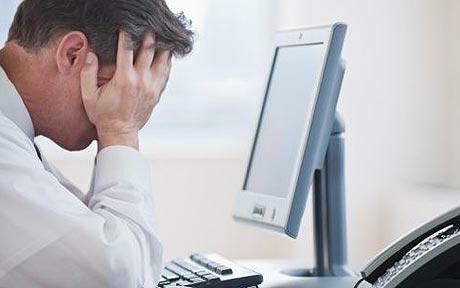 The CLT20 is now like that inevitable thing that happens every year, like the meaningless bilateral ODI series against Bangladesh or that flu you get after every Monsoon. It’s part of our lives. We may not like it, but it’s there. Like the traffic and men urinating in public. The remote control makes the CLT20 slightly easier to live with. The 0.13 TRP rating (compared to 3.8 for IPL) for last year’s CLT20 shows that a lot of Indians used that option. Now that the IPL has settled down to a smaller loyal market – still large enough but nowhere close to the hysterical proportions of a few years ago – the CLT20 has been pushed totally to the fringes. The only people who still seem to be following it are those into betting and those who don’t have girlfriends. And the latter group is desperately trying to change that situation. 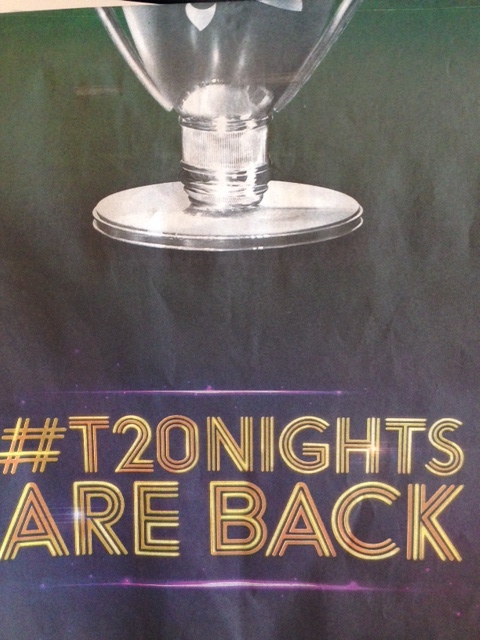 Today’s Times of India front page boldly announced ‘T20 Nights Are Back’. Thanks for reminding, peeps. Wake me up when it’s over! A typical Anupam write -up; innocent looking on surface but, devastating, though tongue-in-cheek at the bottom. Incidentally, Anupam Mukherji happens to be the name of the guy who is in charge of top sports programming at Star, under Uday Shankar. Also, Star has achieved its balance by bagging the Pro Kabaddi League rights which turned out to be a hit while Sony got stuck with World Kabaddi League, an equal dud. Do you know how much they got the Pro Kabaddi rights for?